For the first time in 10 years I’ve put up a Christmas tree. The last time was the year my son left home after HS graduation. Yep, I’ve got a 26 year old, but that’s not the point so bring your brain back here. The point is it’s been a decade since I last put up a tree, strung the lights, hung ornaments, cared. Not about the holidays — I’ve continued to care about them. I’ve just not cared to decorate. The best Christmas I’d had for the span of my entire adult life was that first Christmas I threw care to the wind and dared to not bother with any of it. I was free. Free of the stress of attempting to fit it all in, free of the burden to take it all down and store it away after the holidays were over, free to sit back, sip cider, watch the fire, listen to the crackle of logs, bake at my own pleasurable pace, lay back on the sofa with a warm blanket and just soak in the joy of the season, and my freedom. I spent time walking around town, gazing at lights, listening to children’s tinkling laughter. For the first time I understood what the spirit of the season was all about. My heart was light. An INSTANT de-stresser. A Christmas standard -- and a wacky favorite. I just hope it never wears out. Where in the world would you EVER find anything like this for a replacement? My mother, sister, aunt, and girlfriends, were horrified. And have continued to be horrified. The walk-to-the-beat-of-my-own-drum leanings meant I relished their horror to an extent. I’ve wanted to answer their burning question, but I never really had the stage for it. Until now. So what kind of person doesn’t put up a tree?! I’ll tell you what kind of person. A woman who was a single mother working 60+ hours a week, with shopping to do and food to prepare for her contribution to the family holiday gatherings, sitting in front of a mound of crappy gifts she’d overspent on because she didn’t have the time to bargain hunt with tears of stress streaming down her cheeks while she threw tape and paper on them, all the while knowing she had to face the reverse of it all when the holidays were over. A woman who wanted to sit on the sofa with a son and read Christmas stories sipping hot chocolate, but instead stayed up past midnight stringing lights because, that’s what we do for our children. What kind of person doesn’t put up a Christmas tree? The kind of woman who’d gotten her son raised and decided to take some time for herself. And I liked it. A lot. So much so I’ve reveled in the pure, undecorated experience of the season for 10 years. Speaking of horrified.....Push the red button and he sings and dances "I'll have a Blue Christmas Without You". Makes me LAUGH. Everyone who sees him HAS to push the button. You should see the aghast looks on some faces. Priceless. My life changed when I married 5 years ago. For the better. And the easier. And while I could have easily decorated the past few years, my husband’s take on it all was equally as unconcerned as mine. 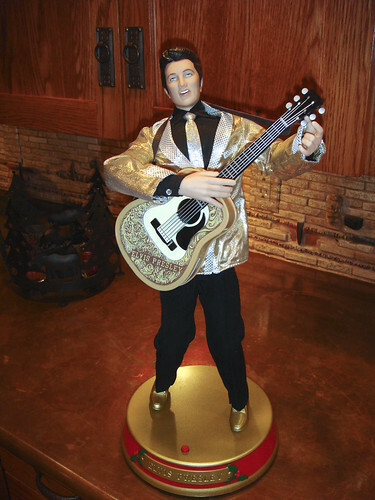 We had 2 things we retrieved from the basement every year – a hooked wool rug of a frog dressed like Santa sitting on the back of a huge trout and a 2 ft. tall Elvis holding a guitar who swayed and sang “I’ll have a Blue Christmas” when you push a button on his base. Our decorating conversation went something like this. After dinner one of us would look at the other and say “you wannna decorate?” The other would say “Yes!” We’d silently walk downstairs to the basement, get one decoration each, carry them back up the stairs, place them, push the button on Elvis, straighten the rug, smile to each other, and sit back down. Done. It was GLORIOUS. Now THIS is my idea of decorating. A room in a box! It reminds me of all the times in grade school we had to make a diaroma -- remember those?! I purchased this when my son was very young. It and Elvis and the frog/santa rug are pulled from the basement every year and voila! my decorating was done! Except for this year.The tree in this lovely little box got a 9 ft. companion. The process was traumatic and cathartic at the same time. Every year has brought mounting pressure to decorate our lovely home. 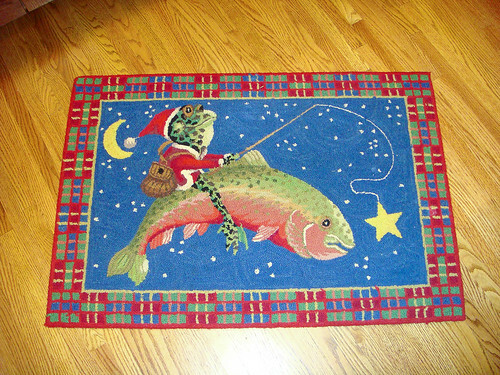 Our friends and family never caught on to the humor of Elvis and the frog/fish rug. Their appreciation was woefully lacking. I succumbed this year. My son is home for the first time in many. It seemed an appropriate year to open the stored Christmas boxes and get back on that horse. I can’t say I looked forward to it. The last time I went through the steps, it was gut wrenchingly stressful. My brain hasn’t forgotten that feeling. But opening those boxes revealed things from my son’s childhood I’d forgotten about. Smiles and sounds and delight. The vice-like stress of it all was gone, replaced with only pleasurable memories and a sigh of relief. The dread was over. That time in my life was behind me. 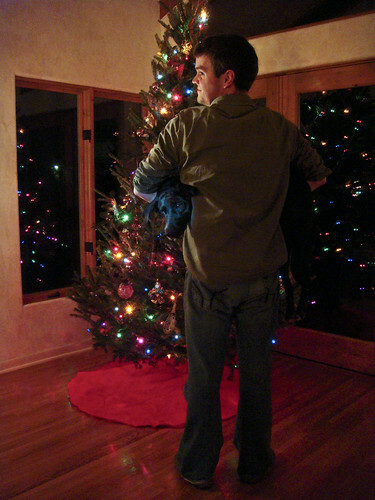 The Tree, The son, and the Dog. And no presents! How funny! What a bomb of a photo shoot and how very memorable. I’ll never decorate like I used to. The pressure disappeared when my son left home. I too grew up and realized I didn’t care what anyone else thought, and the overwhelming need to keep up with the feat of decoration my hyperactive and overachieving Mom had always managed (and still does) blissfully receded and then disappeared completely from my lengthy to-do list. I’m much happier with less stress and wholeheartedly believe those around me are happier as a result. They don’t care about how many strands of lights are twinkling in my house or the footage of my tree. I’m kinder, more cheerful, more tolerant. My relaxed self is a gift to others. And I firmly believe that that is a gift my friends and family prefer over any other kind of wattage. A friend's contribution to my getting back on the horse, and a generous contribution at that! i can’t wait until we pitch the outside lights. Sydney is only 4 ….14 more yrs of this crap! I love the holidays and the reason for the season , but the outside lights are overkill. I feel ya on all the Christmas hullabaloo. It’s fun, but tiring. Good work on making it your own kind of Christmas all these years. I think my mother should read this one! While I enjoy Christmas decorations (you saw my face when you debated skipping the tree…..:-)), I would much rather be around the people I love in their happiest state: stress free and relaxed. 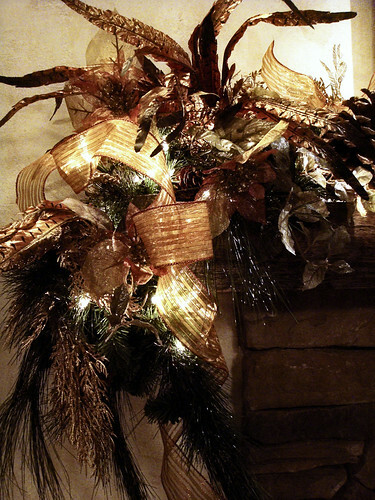 To decorate or not to decorate…there is no question! I like your style. It reminds me of ………….ME. I love every word of what you have written. I see myself, stressed and with tears streaming as I sequestered myself in the back bedroom, scissors, tape, boxes, gifts everywhere with knees holding down the paper as I frantically wrapped the paper around, fastening with scotch tape that stuck on everything but the gifts, one eye on the stack of unwrapped gifts, the other on the wrapped stack that seemed to be slowly growing in the other corner. Not knowing it, but wishing I could be relaxing on the sofa….wishing I could be somewhere…. And then, I think of all the wonderful seasons with all you kids, nieces and nephews, and it was all worth it. 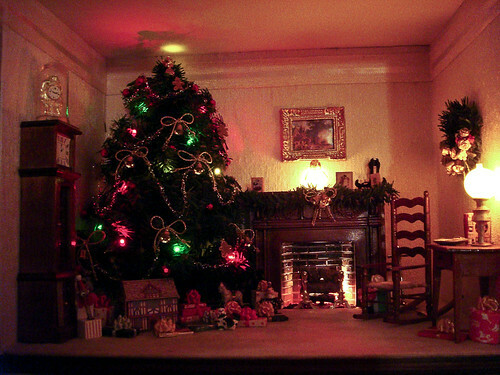 BUT GUESS WHAT……I DIDN’T PUT UP A CHRISTMAS TREE THIS YEAR !!!! Is that a kicker or what??? And you did. How absolutely, divinely funny!! This was so touching and I hope to be shared by many, so entertaining to read, and we’ll take your relaxed self as the ultimate gift……we’ll take you anyway we can have you because you are a precious gift to all who know you.